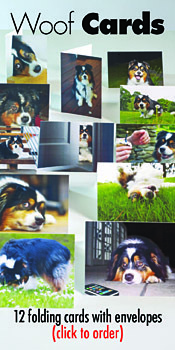 You Are Here: Home » pet info » Depression in Dogs: Does Bowser Have the Blues? 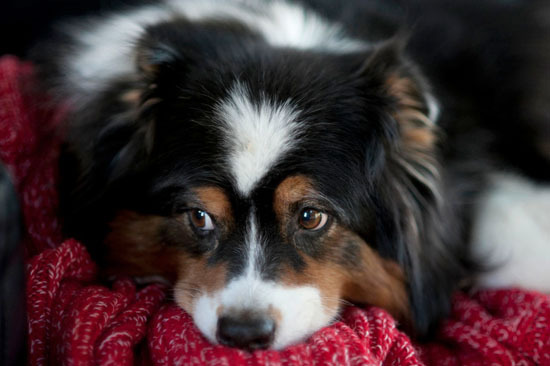 Depression in Dogs: Does Bowser Have the Blues? The answer could be yes, according to WebMD http://pets.webmd.com/dogs/features/depression-in-dogs. The symptoms are what you would expect: less activity, changes in sleeping and eating habits, not enjoying activities he used to love. The causes are not surprising, either. A change in the household — new house, new baby, an owner taking a job out of the house — and of course, the loss of a companion animal, can all cause a dog to become withdrawn. According to Bonnie Beaver, DVM, executive director of the American College of Veterinary Behaviorists, said it’s hard to know whether dogs suffer from depression the way people do because we can’t ask them. “But in clinical practice, there are a few situations where that is the only explanation.” That said, it’s important to get your dog to a vet if his or her habits change to first rule out any medical causes. If depression turns out to the cause, there is good news — for dogs, it’s generally a short-term, not a long-term, condition. The treatment is generally as simple as offering a bit of extra attention, keeping them engaged, and possibly, adopting a new companion. If none of these do the trick, your vet may recommend medication, but even that will be for a short period. Unlike people, dogs are usually able to go off of antidepressants in 6 to 12 months.